(2) Divorces where the Defendant fails to respond or cannot be served the summons and complaint and is, therefore, not aware of the divorce proceedings. The second scenario occurs very often, especially when a person has a one day or one week marriage years ago and now wants to remarry. They then realize the so called marriage they agreed to years ago is preventing them from getting married now. We are sensitive to such situations and handle them with the utmost care. Unless a person is filing for divorce based on an 18 month separation, the complaint for divorce must allege a specific incident or cause for the divorce. Most often a claim of extreme emotional cruelty is pleaded in terms that do not inflame the other party. Extreme emotional cruelty is loosely interpreted to include a person being subject to harsh words, lack of concern, indifference to one's emotional needs, withdrawal, and other behavior that the party seeking divorce may consider to fall under the definition of extreme emotional cruelty. In Hudson County, both parties in an uncontested divorce often do not have to appear in court. We do recommend, however, that the party seeking the divorce retain the services of an attorney. Obviously an uncontested divorce takes far less time to process than a contested divorce. It is important, however, to take into account the fact that the party who files for divorce must still prove the cause of divorce. The divorce must be filed on the correct form and within the court's time schedule. The legal fee for an uncontested divorce is very reasonable. 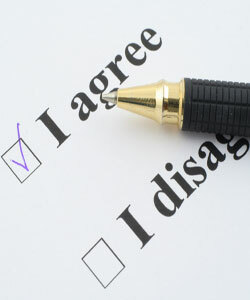 An uncontested divorce can be completed within six weeks of serving the divorce. The Law Office of Frank Marciano works hard to make this process as simple and time efficient as possible. To set up a consultation concerning any no-fault uncontested divorce, contact us online or call us at (201) 656-1000.